I’ll take something customized over something “off the rack” any day of the week—and this includes skincare. I mean, as long as the formulation and ingredients you want are available in a made-to-measure version, I only see upsides in terms of appeal, ease of use and ultimate results. I wasn’t expecting anything majorly dramatic, simply because my skin was already accustomed to these ingredients—albeit not in one bottle. After a few days my skin was definitely back on track, and I had absolutely no side effects to speak of—and my practitioner checked in with me about a week or so later to see how things were going. I have nothing but good things to say about Curology, and here’s a short list of pros and cons to help you decide if it’s right for you. Simplicity: If you want to cut back the number of skincare steps before you go to bed, you can get the benefits of three treatments in one. You can also get a basic cleanser and moisturizer with your customized treatment if you want to keep your regimen extra-lean. Cost: Curology costs as little as $19.95 for a one-month supply, and you don’t have to go to the doctor so that saves you on co-pay alone (and time). The only con for me was a personal one—not anything about the process, formula or brand itself. 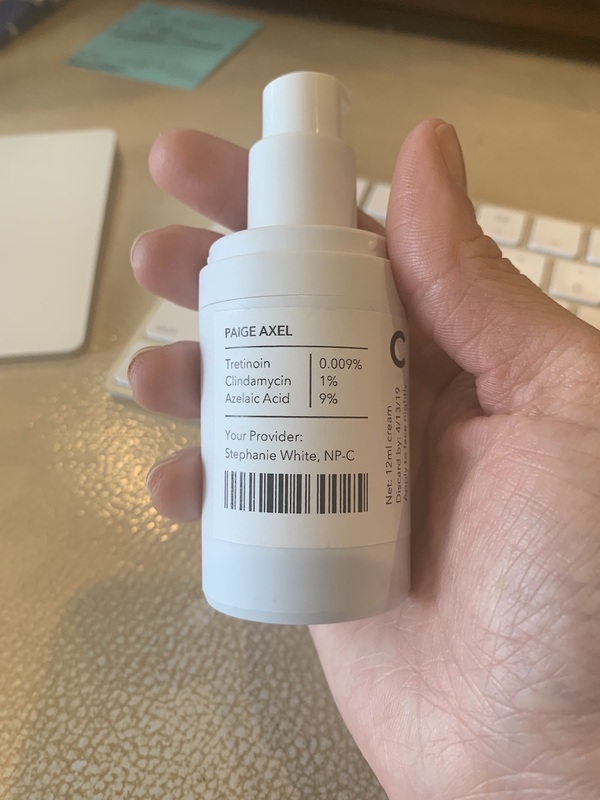 My skin is accustomed to the 0.1% adapalene in Differin, and based on my own research, 0.009% tretinoin is significantly less potent. I did learn that adapalene is often better tolerated than tretinoin (perhaps this is why Curology uses a lower concentration) but I would have liked my formula to contain a higher tretinoin strength, especially for anti-aging purposes. Every Curology customized blend is different, because everyone’s skin is different. In addition to the ingredients I received in my formula, others include niacinamide, vitamin C and zinc pyrithione. (All formulas contain up to three of these main ingredients max.) If you’re struggling with keeping your skin in the clear and haven’t found an effective combination of treatments, I would definitely tell you to give Curology a shot—what do you have to lose, other than the breakouts?